To optimize a website for search engines we need search engine optimization process. This SEO process include on page optimization and off page optimization. Here we discuss about best off page seo tips. If you do off page optimization in good way then traffic to your website will increase gradually. More traffic means higher rank to your website and once you reach the top position then the chance of getting more links to your site is high. If you get good quality links then your site will get more exposure. Link building is the process of getting external links to your website and its an effective method in SEO process. This is like other websites recommend your website due to good and quality information present in your site. So while reading some content in other website users will see it and redirect to your website and increase your website traffic. But link building in bad way or spam way is not good for your website. Because once Google identify the spam activity in link building then your site will face its consequence and penalty. Once you published your webpage you can add book mark. Book marking is the process that you provide a small summary about the page and sharing it to social media platforms. So the followers or connectors can easily understand what is this webpage about because we are providing a small summary about the page. So they will reach to your website via clicking the link shared in it. This will increase your website ranking gradually. We have many social media platforms to share our ideas and thoughts and also to promote your products. Facebook, Twitter, Google plus, Tumblr etc., are few of them. 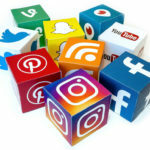 Every people all over the world is using different kinds of social media so if you share your product or service details in it your connections or followers can view it and they will reach to your website via shared link. Social media marketing is a good platform to increase your website rank and traffic to your website. So its all about good off page optimization tips. Always do the off page and on page in good way because if you practice black hat seo then it will badly affect your website and you will face the penalty.